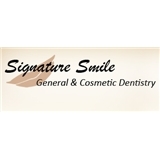 Signature Smile General and Cosmetic Dentistry (Brooklyn) - Book Appointment Online! Located at the heart of Brooklyn Heights, we are committed to providing a superior general and cosmetic dental service to our community. Our office is equipped with the latest state-of-the-art dental technology, and our dentists are proud to offer an environmentally friendly, green practice. Your happiness is our mission, and happiness looks best with a signature smile you can wear proudly. Very thorough hygienist, very efficient appointment from front desk to seeing the doctor. Thoughtful and responsive treatment plan. Highly recommend to anyone. The dentist saw me very quickly and left my mouth feeling clean and fresh!